The 'RH-SSO-7.2.7.GA. [zip|tar.gz]' file is the server-only distribution. 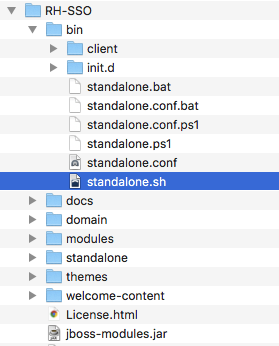 It contains only the scripts and binaries to run the Red Hat Single Sign-On server. In this section you will learn how to secure a Java Servlet application on the JBoss EAP application server. You will learn how to install the Red Hat Single Sign-On Client Adapter onto a JBoss EAP application server distribution. 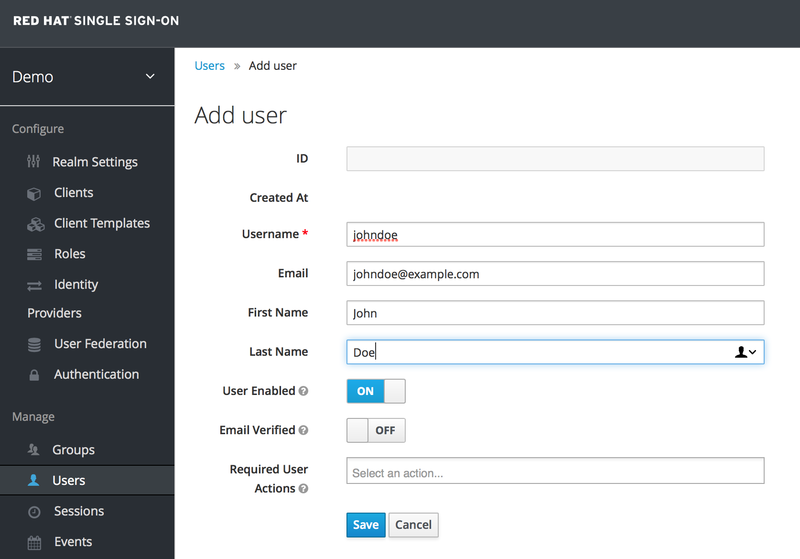 You will create and register a client application in the Red Hat Single Sign-On Admin Console. 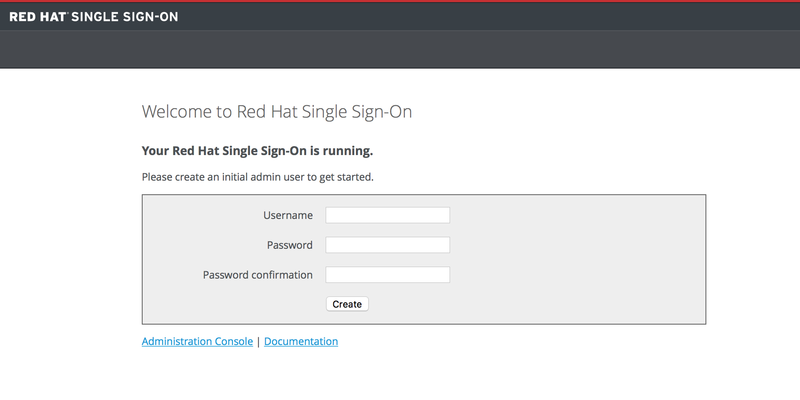 Finally, you will configure the application to be secured by Red Hat Single Sign-On. Before you can participate in this tutorial, you need to complete the installation of Red Hat Single Sign-On and create the initial admin user as shown in the Installing and Booting tutorial. There is one caveat to this. You have to run a separate JBoss EAP instance on the same machine as the Red Hat Single Sign-On server. This separate instance will run your Java Servlet application. Because of this you will have to run the Red Hat Single Sign-On under a different port so that there are no port conflicts when running on the same machine. 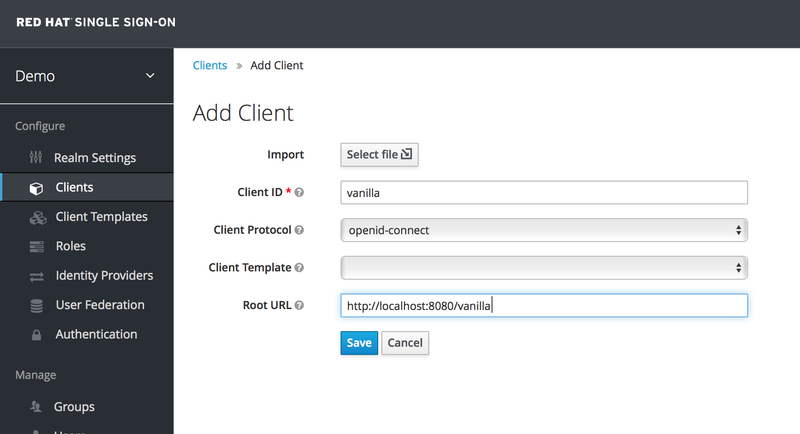 Use the jboss.socket.binding.port-offset system property on the command line. The value of this property is a number that will be added to the base value of every port opened by the Red Hat Single Sign-On server. Download the JBoss EAP distribution and unzip it into a directory on your machine. Next download the RH-SSO-7.2.7.GA-eap7-adapter.zip distribution. Unzip this file into the root directory of your JBoss EAP distribution. Follow these steps to download the code, build it, and deploy it. Make sure your JBoss EAP application server is started before you run these steps. After clicking the Save button your client application entry will be created. 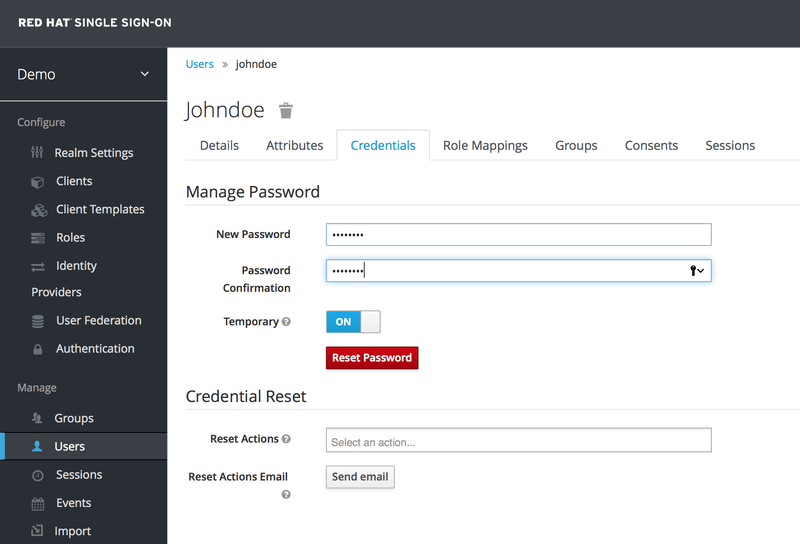 You now have to go back to the JBoss EAP instance that the application is deployed on and configure it so that this app is secured by Red Hat Single Sign-On. You can obtain a template for the configuration you need by going to the Installation tab in the client entry in the Red Hat Single Sign-On Admin Console.